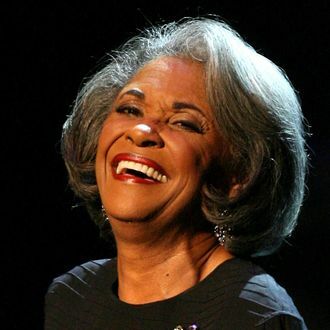 Nancy Wilson — the Grammy-winning jazz singer, actress, and civil rights activist — has died. She was 81. Nicknamed “The Girl With the Honey-Coated Voice,” Wilson released eight Billboard top 20 albums in the ‘60s alone. Her two most celebrated singles were “Guess Who I Saw Today” and “(You Don’t Know) How Glad I Am.” Wilson considered herself a “song stylist,” and drew from jazz, pop, and Broadway traditions. Born in Ohio, Wilson was a frequent collaborator with Cannonball Adderley among others. She participated in the Selma March in 1965 and received an NAACP Image Award in 1998. Wilson was also a successful actress and host, working on Hawaii 5-0 and Police Story. Although she never considered herself a jazz singer, she hosted NPR’s “Jazz Profiles” series. She is survived by her children and grandchildren.